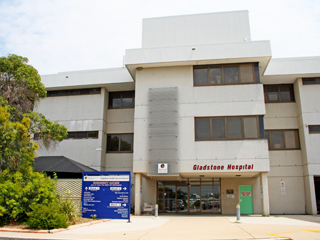 The specialty services available at Gladstone Hospital are listed, a referral may be required from your treating health professional before an appointment can be made. Funding has been approved for the development of a new Emergency Department, work is planned for completion by the end of 2017. High Dependency Unit underwent a major refurbishment in May 2015 to become a contemporary equipped unit with state of the art technology thanks to funding from Santos GLNG and Queensland Gas Corporation. Operating Theatres also underwent a major refurbishment which was completed in November thanks to funding from Santos GLNG and Queensland Gas Corporation.